Burdock & Co. Chef and Owner Andrea Carlson welcomes Chef Fumihiro Matsumoto and Sommelier Kenji Kawamura of Kantera Restaurant in Tokyo during Dine Out Vancouver. Brought to you by the Vancouver World Chef Exchange, this farm-to-table multi-course dinner will combine each of the chef’s favourite culinary inspirations, using fresh sustainable seafood and locally-grown ingredients. When: Monday, January 22, 2018 at 5:45pm (with 2.5 hour seating time) or 8:30pm. Tickets: Available online now. $203.75 includes multi-course dinner, welcome beverage, wine pairings, tax, gratuity and ticketing fees. Hot off the heels of a recent trip to Japan this spring, Chef Andrea and her team are excited to welcome both chefs and offer visitors a one-of-a-kind culinary experience. Sommelier Jesse Walters will be working together with Mr. Kawamura to create bespoke sake and natural wine pairings for the dinner. Sommelier Jesse Walters will be working together with Mr. Kawamura to create bespoke sake and natural wine pairings for the dinner. 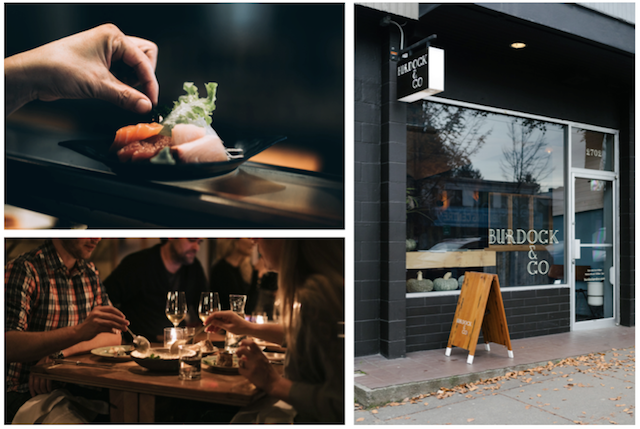 The dinner takes place during the world-famous Dine Out Vancouver Festival, where more than 200 restaurants, wineries, craft breweries, suppliers and more for 17 days of dining, food-forward events and experiences January 19 to February 4, 2018. There are also Vancouver World Chef Exchange events with Nashville, Beijing, and Indigenous Canada, and Bangkok.